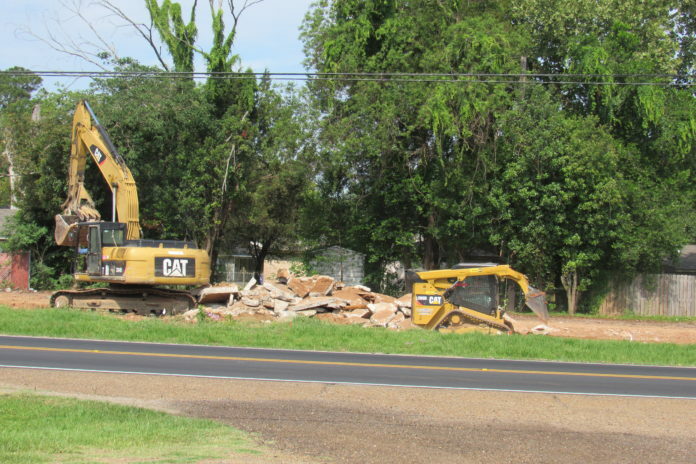 The old Louisiane Motel on South Drive finally came down. Demolition only took a few hours last Thursday for Rhodes Properties and Development, owners of the property. The original intent was to remodel it into all-inclusive efficiency apartments for NSU students. As the property was gutted and the design for renovation began, it was determined there was just too much work needed to the existing structure and it became evident that saving the structure was not cost effective. New plans called for demolition of the structure all the way down to the dirt bed and to repurpose the property as mixed use commercial. Rhodes Properties and Development said they are currently in meetings with their design team about the best options. Director of Planning & Zoning Juanita Fowler confirmed there were no applications for development to date.